After failing to dislodge the club’s owners with their fairly futile ‘green and gold’ campaign, Manchester United supporters are now planning to attempt another coup by staging a fearsome ‘old shirt’ protest. 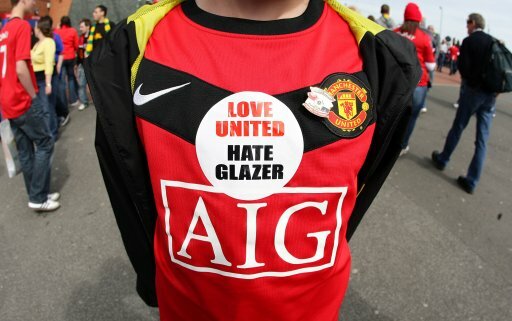 Various supporters’ groups are backing a move that would involve fans sporting United shirts that pre-date the Glazers’ 2005 takeover (would they even realise what the significance was?) at home games, a sight that would strike fear into the heart of even the stoutest American billionaire. 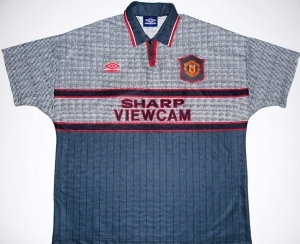 Could you put a different shirt up, that one is too difficult to see. Delicious sarcasm. The protest would work if they stopped buying drinks and food at matches, stopped buying replica shirts and stopped buying season tickets. They’ll continue to do all 3. Anodyne protest from people who have little reason to do so.